The decisions taken over the next few days, weeks and months will determine our country's next few decades. The stakes could not be higher. That's why we need your support. 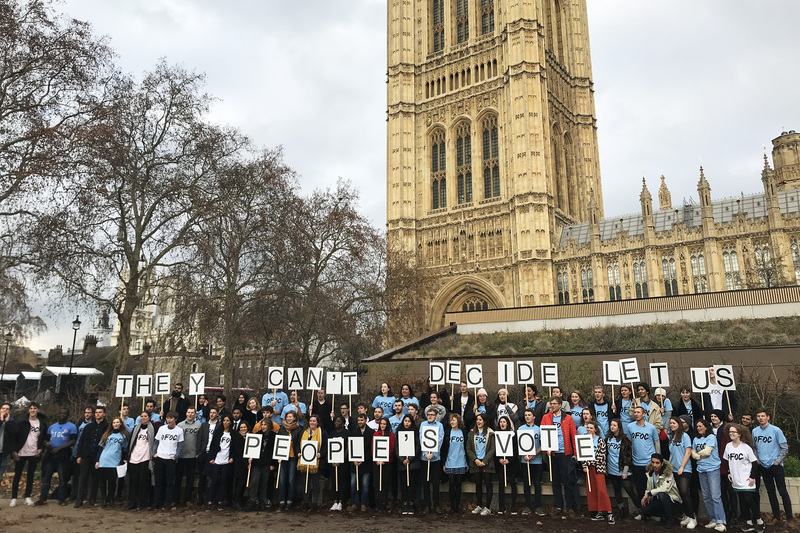 While MPs in Parliament fail to come up with solutions, young people across the country are leading the fight for a People's Vote. We'll use every penny to visit and set up groups at more universities, colleges and schools. We'll do more bold protests, and find more creative ways to get our message across. We'll get even more active on social media. 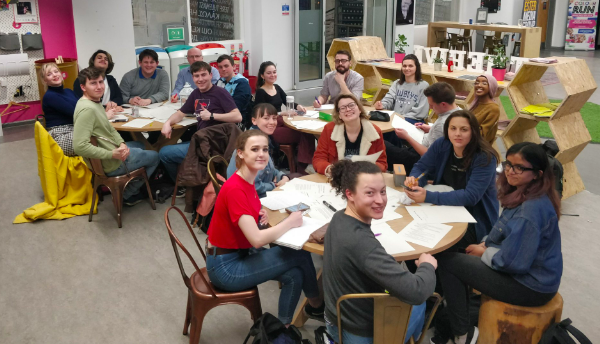 As a People's Vote nears, we'll also start getting young people to register to vote at RECORD levels. 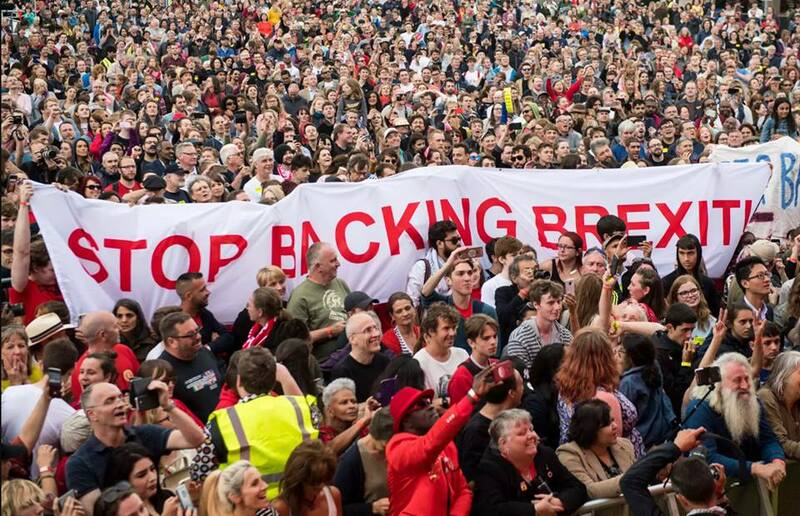 Our generation didn't vote for this Brexit mess, and we don't want to live with it either. 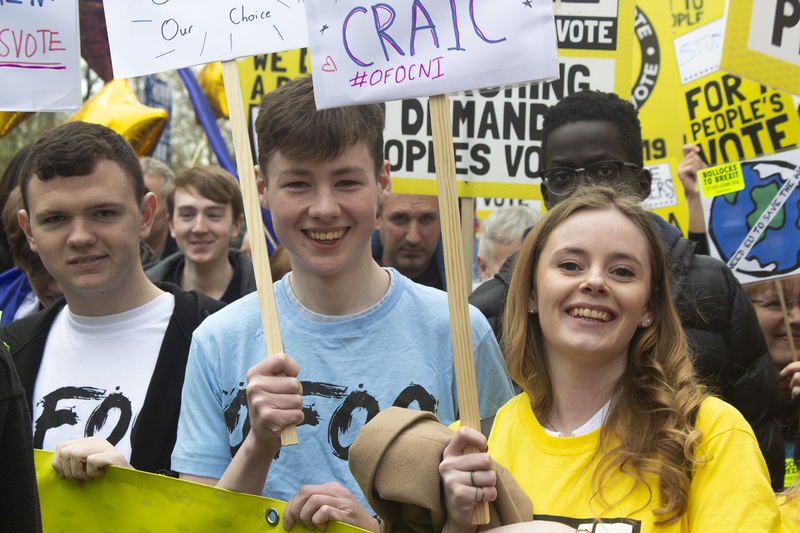 That's why we set up Our Future, Our Choice (OFOC) - to give our generation a voice at a time when our politicians are ignoring us and trashing our future. We started a little over a year ago, putting our lives on hold to campaign against Brexit. With Brexit being delayed, the campaign has gone on longer than we ever dreamed it would. That's a good thing, because Brexit is on the back foot, and a People's Vote is closer than ever. But it also means we NEED your support! We cannot do this alone. So please do consider chipping in what you can so we can continue to fight against Brexit. We recently set ourselves the target of visiting 100 universities, colleges, and schools in 100 days. We're already well over half way and ahead of schedule! 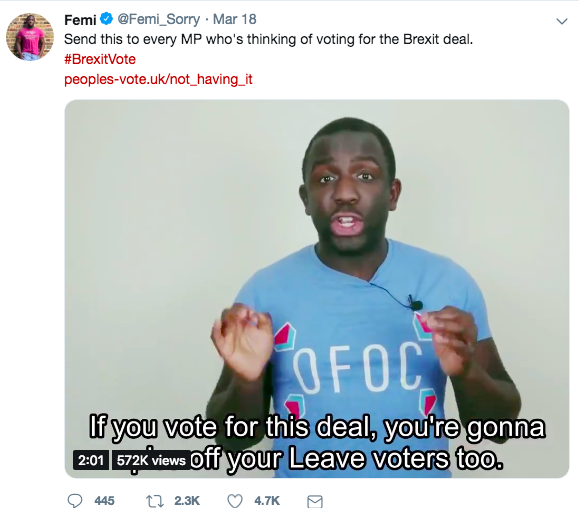 Or the hundreds of young people who came to Parliament to tell their MP they want a People's Vote - not May's Deal or No Deal forced on us. Or the economic report we produced which found that a hard Brexit would cost every young person over £100k before 2050! Front page news! Or the videos we've been putting on social media that often get hundreds of thousands, and sometimes MILLIONS, of views! They make sure everyone knows that young people don't want Brexit! WE'RE FIGHTING FOR OUR FUTURES. Our campaign has gone on longer than we ever dreamed it would. Brexit is on the verge of total collapse. A People's Vote is near. We want to keep fighting against Brexit but we can't do that without your support. So please do consider chipping in what you can so we can continue to fight against Brexit.